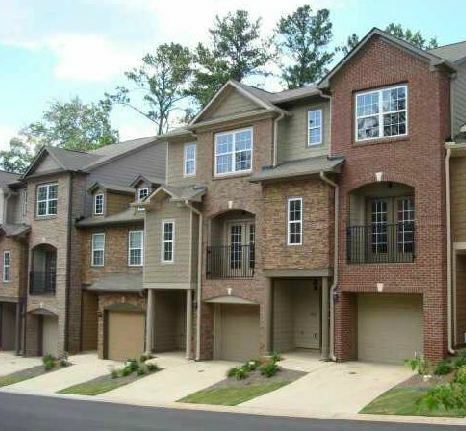 Ashlyn Pointe is a gated townhome community located in the City of Doraville, Dekalb County GA 30340. Townhomes built by Lenox Homes and McClain Homes. Most are 2 and 3 bedrooms townhomes and some have an optional bonus room with bathroom options as well. Most townhomes built from 2006 t0 2007. List prices have ranged from $74,000 to $209,900.00. The median sales price, at time of post, is $133,404.00 and take on average, 131 Total Days On Market (TDOM) to sell. Exterior details include Brick and Stone and one Car garages with private backyards. Located in a great location just 1/2 mile outside the Perimeter off Buford Highway on McElroy Rd. Directions: Go North on Buford Hwy-Outside 285 to McElroy Rd. Turn right go 1/4 mile and turn right into Ashlyn Pointe Drive. This entry was posted on Tuesday, April 8th, 2014 at and is filed under 30340-Zip Code, City Of Doraville, Dekalb County Community, GATED North Atlanta Communities. You can follow any responses to this entry through the RSS 2.0 feed. Both comments and pings are currently closed.